The United States of America is a country full of beauty, culture, history, and excitement. Each region offers something unique to see or do. 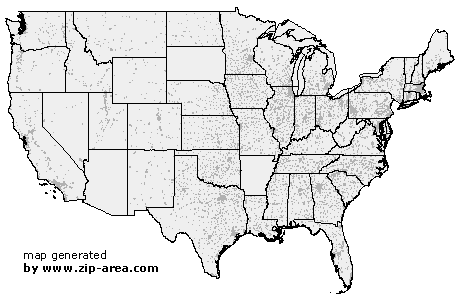 In the northeast, the biggest city in the USA can be found. New York City offers culture, most notably in the form of Broadway plays, plus the excitement that can be expected in a large city. Restaurants are plentiful and diverse, as is nightlife offerings. Important historical sights abound, featuring locations such as the Statue of Liberty and Ellis Island. The southeast is just as full of entertainment. Florida shows off nature with beautiful beaches and the Everglades. Man-made pleasures can be found in Florida in abundance. Disney World has been a magnet in the area to attract other theme parks and attractions. Moving to the middle of the country, another big city is found in Chicago. With beautiful Lake Michigan as a backdrop, Chicago's skyline shines extra bright. Here again are diverse restaurants and nightlife offerings. Chicago offers museums and architecture to awaken the artistic imagination. Move south from Chicago and you will land in Texas. Texas has an independent spirit dating back from its founding. That history can be explored at the Alamo. This state is huge and encompasses all types of geography from gulf front beaches to arid deserts. Buy some boots and a hat and enjoy some good old-fashioned barbecue or dress in your best and hit the sites and offerings of the cities in Texas. The western edge of the USA is occupied by the state of California. At its southern end, California exhibits a laid back beach culture. The endless sunny, temperate weather allows the sparkling beaches to be enjoyed nearly year round. Los Angeles is a prominent city in southern California. Nearby Hollywood is an obvious reason people are attracted to the city, though there are several offerings to enjoy that are not centered around the silver screen. Move north in California and the giant Redwoods tower over the landscape. Of course, Washington, D.C. deserves to be mentioned. Here lies the center of government and the monuments that memorialize the founding and history of the United States of America. Numerous parks and museums make this a city not to be missed. The diversity in geography, historical backgrounds, and cultural offerings in America's different regions makes it an interesting and remarkable country. Using the left mouse click, select the desired location on the map and you will receive a list of cities in the surrounding area.